What has happened since the final workshop? At the final workshop the group identified that the main output they wanted to develop and integrate into service provision was information resources for GPs and patients about mild heart failure. 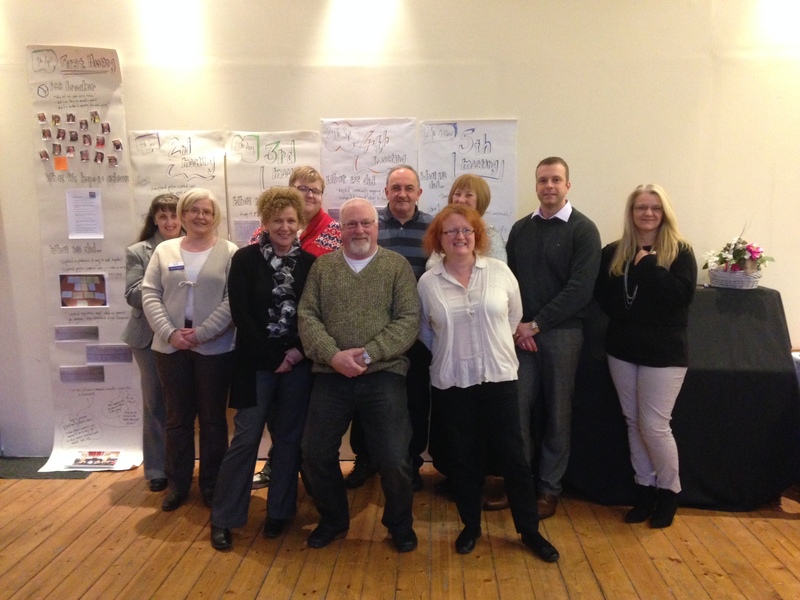 In addition, a local asset map is being developed by the group and two other ideas are still emerging: creating an ‘I am Heart Aware’ campaign and a one day event for NHS staff and the wider public at Wishaw Hospital on 6th May 2015. The event will showcase this project and will engage delegates in discussion about how this work can be built on in the future. The group is continuing to meet to develop these outputs and ideas. The group created a two-page information sheet about useful resources for people with heart failure and a two page FAQ leaflet with information about heart failure. Designed to be used by GPs, patients or anyone with an interest, these have been circulated to Lanarkshire GPs, North Lanarkshire Council and third sector organisations. The group also created a short powerpoint presentation from the information sheet, having been informed that this is an effective way of capturing the attention of patients in GPs’ waiting rooms where TV screens are used to provide health information. The slide set was well received by GPs. An interactive map of useful groups, organisations and resources in the North Lanarkshire area is being developed by North Lanarkshire Council. However, due to staff illness the output has not yet been completed. The council is committed to publishing and maintaining the map online, and some of the members of the KiP group will assist with its development. There have been three outputs from the KiP: dementia project. 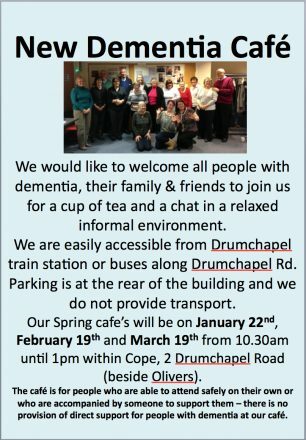 Two dementia cafés and a café for carers of people who have dementia. The project group included five people with dementia, five carers, and eight professionals with a health or social care background. 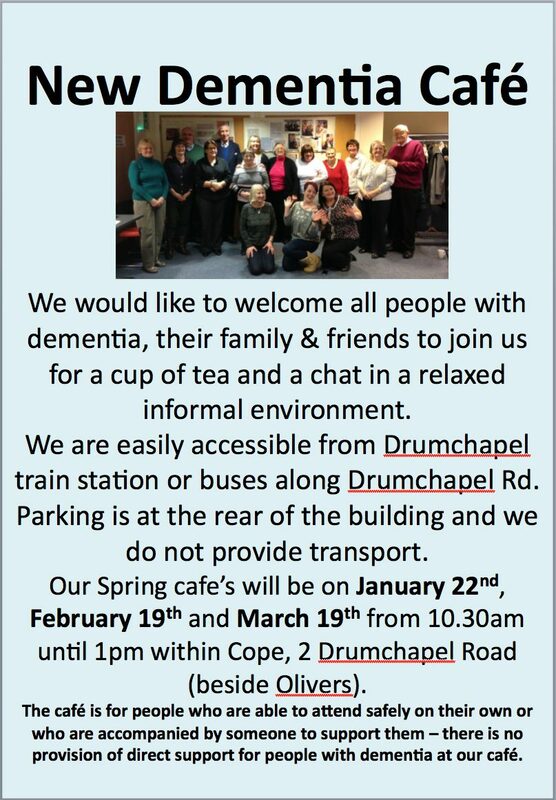 In North West Glasgow the group has set up a dementia café in Drumchapel. This café has run four times since October 2014 and the number of people attending has increased each time. The café has dates confirmed for the next six months. The idea was developed and is being supported by a sub-group including practitioners, carers for people who have dementia and people with dementia. One carer from the North West Glasgow group explained that as a consequence of being involved in this project she ‘can make things happen’. She has therefore been inspired to set up another dementia café in Partick, where a need was also identified for this kind of support. The number of people who attend each dementia café is approximately 26. The cafés are run by the carers from this project. Their partners and family members who have dementia also attend. Link workers who took part in the project are introducing new people to the cafés each month. A carer described the welcoming atmosphere in the café as like ‘getting a hug when you walk in the place’ (carer) as the atmosphere is ‘so welcoming’, ‘friendly’ and ‘there is good banter’ (person with dementia). The carers who run the cafés are in the process of developing the infrastructure to support their continuation. Currently, the cafés are being held free of charge in COPE in Drumchapel and the Annex in Partick. These environments have been described by the carers as ‘perfect’ and the people who run these organisation as supportive ‘can’t do enough for us’ (carer). However, the ongoing use of the COPE venue is dependent upon its funding being renewed. Having researched locations, the carers who run these cafés are aware of the difficulties in finding a good, affordable location suitable for people with dementia. Everyone who is involved in these cafés hopes that COPE’s funding will be renewed to enable the continuation of this dementia café. At the cafés, carers provide tea, coffee, cakes and biscuits and sometimes activities and raffles. Donations are requested to cover tea and coffee. Raffle prizes are donated by people who attend and the money raised from the raffle is donated, for example, to Alzheimer’s Scotland Dementia Dog campaign. Carers are presently seeking advice from NHS Greater Glasgow and Clyde about opening a bank account for the cafés and exploring how they can be supported financially by public services. Dementia link workers employed by the NHS and Alzheimer Scotland are signposting others to the cafés and where appropriate, supporting people to attend. IRISS has gifted £250 to support the expenses of each café. One carers’ café is running monthly in COPE, Drumchapel, North West Glasgow. The café has been running for four months (Dec 2014 – April 2015) a small number of carers, currently around 12, attend. The group is in the process of deciding whether to grow or remain small. This will depend on the needs and preferences of group members. The café is a safe space to share experiences of caring for a loved one and to support each other. Carers described ‘feeling brighter’ just knowing there is a safe space for them to go and talk to other people ‘who know what you are going through’. Particularly when they have a small family, possibly no children, and do not know anyone else in a similar situation. ‘It gets you out of the house‘ and can be a space that is ‘not all about dementia’. People talk about various topics, and there is a ‘lot of laughter’ as well as some needed and supported tears. Currently the cafés are being held free of charge, with an optional donation to COPE for use of the room. 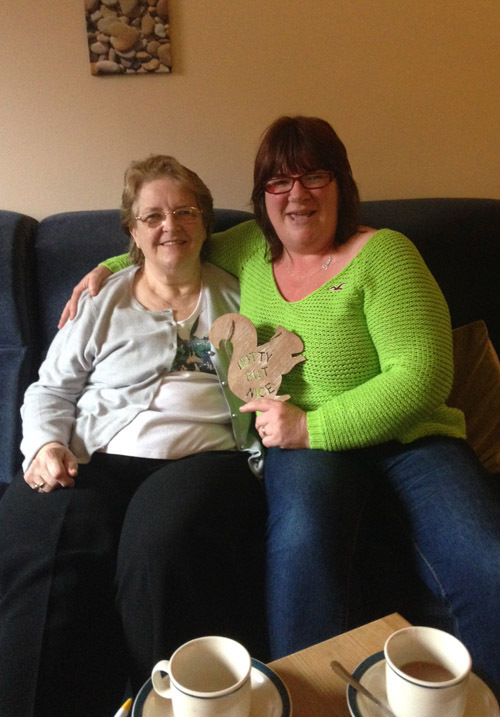 IRISS has gifted the carers cafe £125 towards the use of the room until the end of 2015. At the cafés, carers provide tea, coffee, cakes and biscuits. Staff from the local carers’ centre who took part in this project are also in contact with the carers who attend the café to offer support, training and care relief when needed. Some of the experiences of carers involved in the group were also captured in a short video by facilit-e46 for the PPHW. 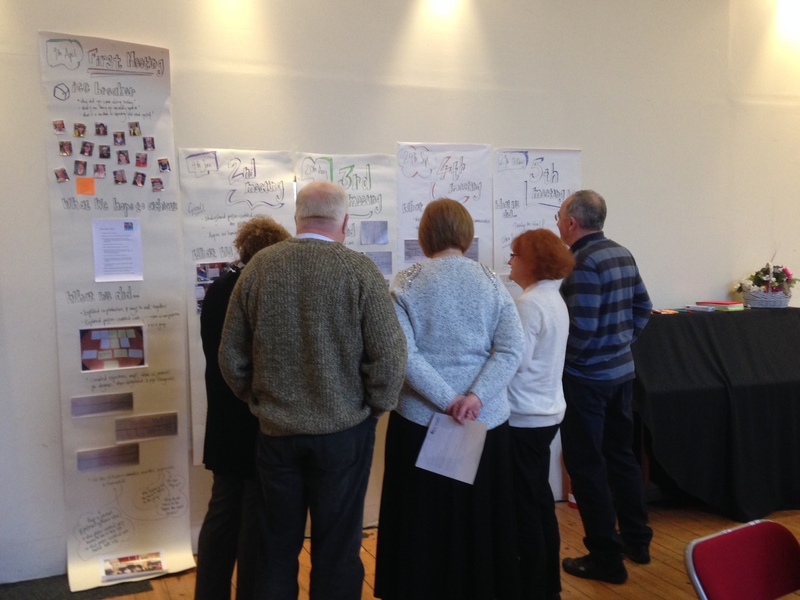 This brought their lived experience ‘into the room’ as part of a participatory debate: Does Care Get the Value it Deserves’ held on 25 June 2015 at the ALLIANCE’s Citizen Wellbeing Assembly. 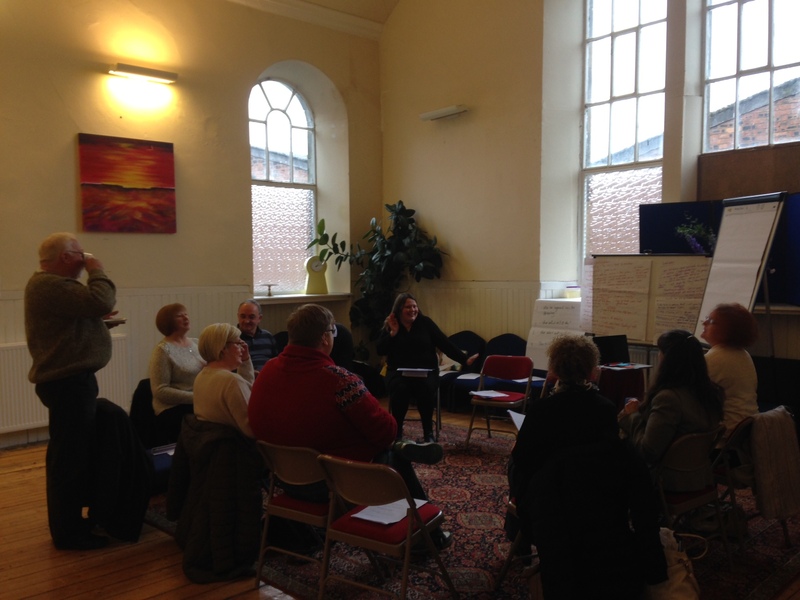 This included speakers from Independent Living in Scotland and the Coalition of Care and Support Providers in Scotland (CCPS) and raised a number of issues around identity (self identity and view of others), how we value care in society. Thanks to all our KiP carers for contributing to this and their continued work and efforts! This was the sixth and final meeting. 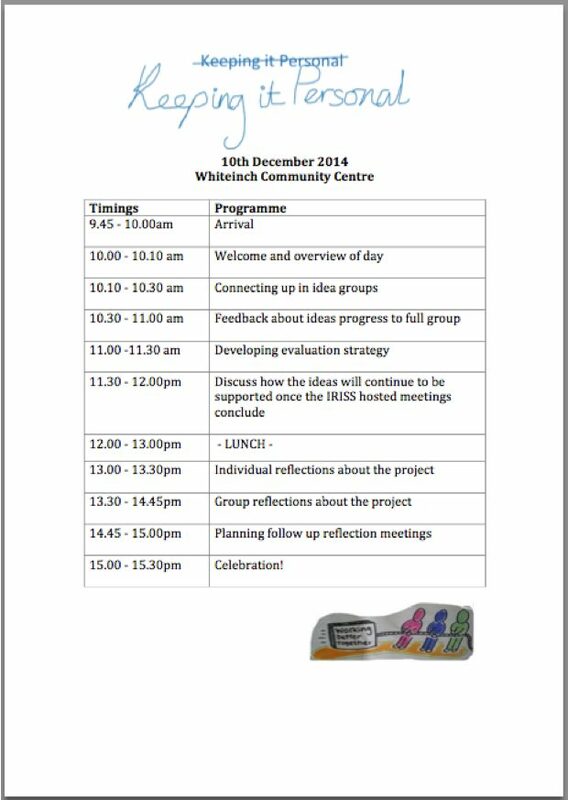 As Kerry (Project Manager on this project) had now gone on maternity leave, I (Gayle) facilitated this session with Rikke. 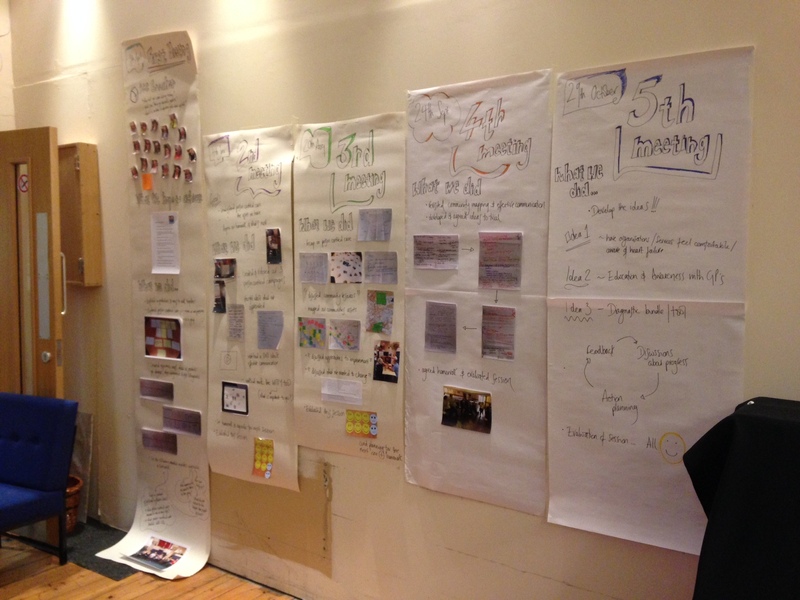 At this workshop we fed back what had happened when people tested their ideas in practice. We shared our interpretations and discussed what people could do next to further develop their ideas. We concluded by reflecting on our work together and celebrating, with some cake. See our programme. What is your group’s plan for the future? We also gave groups a retrospective evaluation sheet that they could use to guide their conversations. 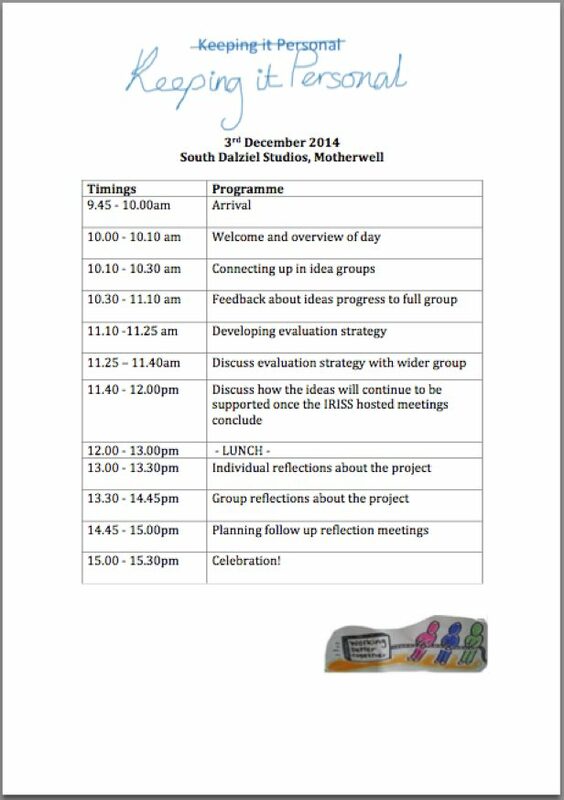 Since the last meeting people had met up to take their actions forward and feedback to others. 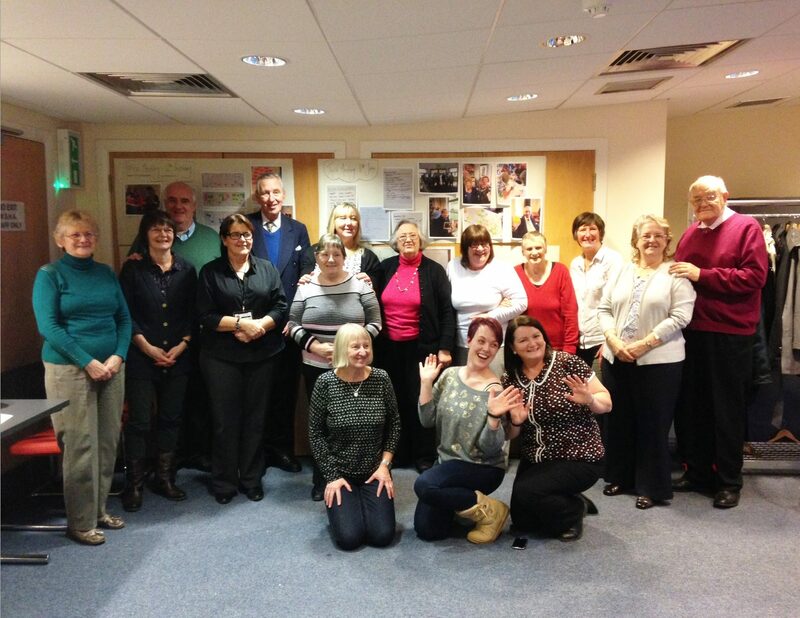 Since the last meeting, the first dementia café had taken place. 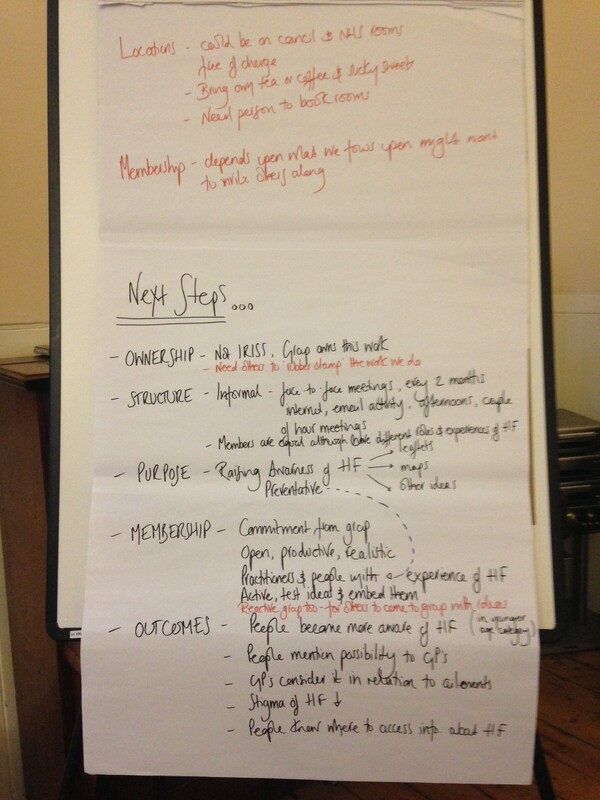 Afterwards, the group met at Jane’s house and reflected on what worked well and what needed further development. At this meeting, people decided that instead of running the café fortnightly, it would run monthly. More frequent cafés were felt to be too demanding in terms of fitting in with other commitments and the travelling involved. COPE was chosen as a suitable venue where staff were particularly helpful, ‘and the people who work there have made it so easy for us’ and they are ‘able to give us everything we need’. Other locations were unsuitable because they didn’t respond to the group’s inquiry, were too big or cold and/or too expensive. It was recognised that the venue needed to cost ‘close to nothing‘ and that COPE as a charity, only requests donations for use of the venue. Another positive aspect of the COPE venue was the environment – comfortable chairs that recline and the offer to everyone, of a ‘fluffy blanket’. Additionally, COPE runs other events that the café has been invited to get involved in, for example, head massage and singing sessions. There were signs that word was spreading about the café. Link workers were talking to people they supported and sharing information through their work base, the GlenKirk Centre. Local GPs were also now aware of the café, as were social workers linked to dementia services. Sunny Govan Radio was planning to attend the café the following week and report on what the group was doing. With all this far reaching communication maybe it wasn’t surprising that someone suggested ‘maybe we don’t need to hand out the flyers’ (which the group had also developed between meetings), there was a worry that too many people might attend. At the café a raffle was held and carers donated prizes which raised £100. The group was in the process of deciding whether to gift this money to other charities (such as Alzheimer Scotland) or save it and put it towards a trip in the summer. People were reluctant to set up the cafés as charities, as it was perceived to be ‘too much paperwork’ and not necessary as ‘people trust one another’. However, some group members raised questions about the legal status of the group and there were offers of help to explore this from the Carers’ Centre. Setting up a dedicated bank account was suggested as an idea that might take pressure off individuals. There had been discussions around transportation to and from the café. It was decided that this should be the responsibility of the people who would like to attend. It was also recognised that the purpose of the café must be clear, in particular, that it wasn’t a substitute for day care. Generally this group was ‘not really surprised’ at how well it was going and how quickly things were developing. People felt that everyone was working well together and sharing responsibility for developing the café idea. The carers’ café had also been spoken about at Jane’s house and had also run a first session. At the first meeting, the group decided that they didn’t want this café to get too big and that it would remain an informal space for a group of carers to relax and talk together. Twelve was considered to be the maximum number of people they would like in the group. If more people were interested, another group would need to be started. The first session had included both carers and people with dementia. At the next group it was decided that only carers should be included. The connection between the dementia café and the carers group was seen as useful for both groups. COPE has also been used as a venue for the carers’ café as it has been so successful at supporting the dementia café. This idea was not pursued (see session 5). Group members supported working groups 1 and 2. The purpose of this activity was to encourage the groups to consider how they would gather evidence about the progress of their ideas. This might help them access support to further develop their cafés and could also contribute to evidence of the longer term impact of KiP. The group had a visitors book which was full of positive comments. A group member explained ‘people are coming back, so we are doing something right‘. People described the atmosphere of the café as ‘warm‘ with lots of ‘good laughs‘ and the opportunity ‘for a natter‘. It was suggested that it would be useful to keep a record of the number of people who attend each café. Rather than evaluate this work, this group is at a stage of trying to raise awareness. Therefore, future plans include ‘keeping going‘ and creating flyers ‘to spread the word‘. 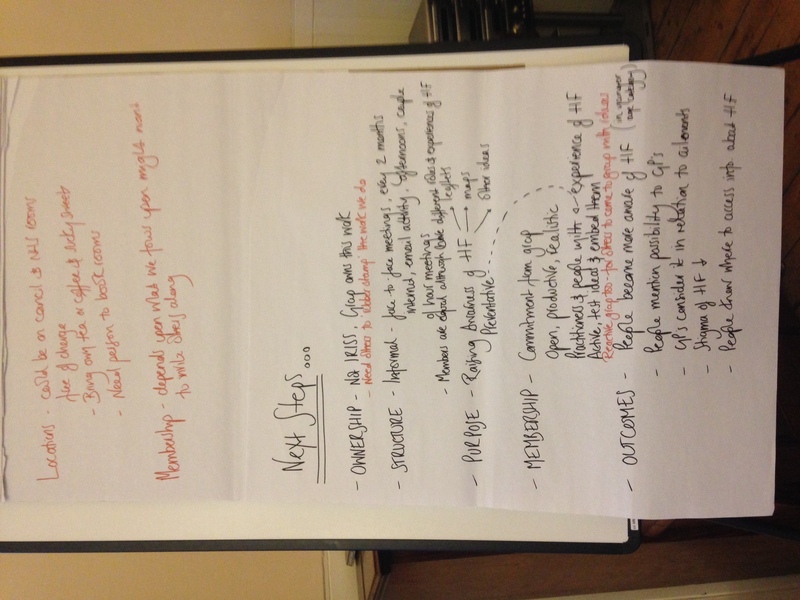 People in the group already felt ownership of the ideas they had developed and were unsure whether and in what form they would like continued support from IRISS. The experience of designing and running their cafés had given people a clear idea of how they wanted to continue, which was reflected in their approach when evaluating/further developing this work. The plan for this group was to ‘just keep going’, as through word of mouth and the flyers, the café was getting bigger each time. There was also an idea to develop another café in Partick. This group wanted to develop the carers café. They planned to print out and share more flyers within the local community. 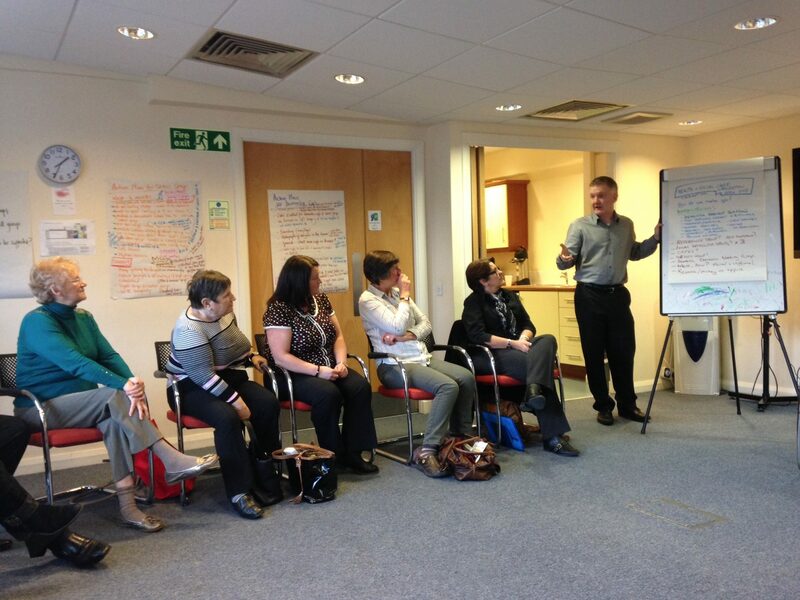 An idea was discussed to develop a ‘how to guide’ that could support other carers to set up up their own cafés. Those involved in both the dementia and carers’ cafés were aware of the risk related to their venue (COPE’s) funding. They recognised that they could have a role in providing evidence to help COPE demonstrate the need for continued funding for this venue. As the project had taken place over a year, we started by asking people to reflect on their perceptions as the project progressed. We did this by printing out each of the blog posts describing the activity at each session and posted them up on the wall so that people could review them and take some time to recollect their thoughts. What may you do differently as a result of being involved in this project? 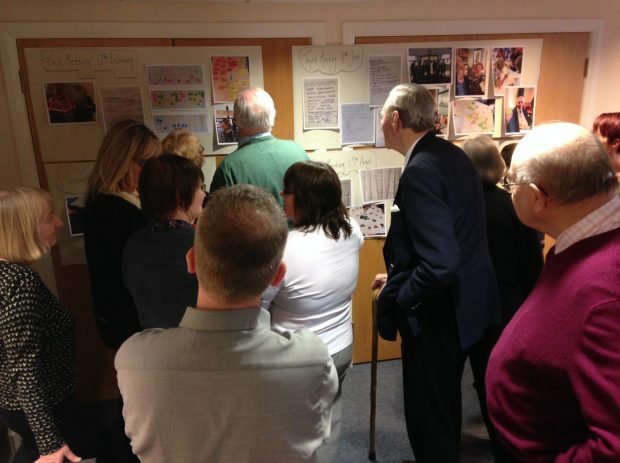 To support people who have dementia we also referred to the blog posts on the wall and laid adjectives and words related to emotions on the floor to support and prompt and people. (This uses an emotional touchpoints approach.) This group reflection offered people the opportunity to share their thoughts with others in the group and to spark ideas and conversations. Some direct responses to these questions can be found in the section people’s hopes and experiences of this work. Other feedback was gathered by speaking to people individually. The final Evaluation Report combines these findings.